Big robots, cool disguises! 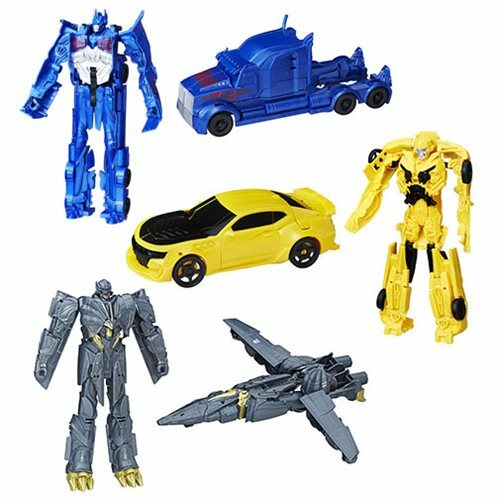 Transform from robot to vehicle with Transformers The Last Knight Titan Changers. Each 12-inch action figure is easily changed from its robot form to vehicle and back again, like magic. You'll be amazed how quickly and easily the characters from The Last Knight transform and roll out!